KUALA LUMPUR (Mar 27): DAP wants Putrajaya to stop "pussyfooting" over the audit of the RM4 billion klia2 and issue a directive to the auditor-general (A-G) at the next cabinet meeting on Wednesday to probe into the low-cost carrier terminal. National publicity secretary Tony Pua said it had been four months since Parliament's Public Accounts Committee (PAC) tabled its report on the airport's costs overrun and problems in its construction. The PAC had also recommended that the A-G audited the project. "It appears that Liow is a typical 'no action, talk only' Barisan Nasional minister because up till today, more than four months later, there has been no directive given to the auditor-general to carry out investigations on the discrepancies and anomalies in klia2," he said in reference to Transport Minister Datuk Seri Liow Tiong Lai. To compound the matter, the Petaling Jaya Utara MP said written parliamentary reply on Wednesday from the finance minister revealed that both the Finance and Transport Ministries, together with the national auditors, were still studying the various issues raised by the PAC, and would present a paper for Cabinet consideration. He said the answer was not only disappointing, but an affront to the role of the bipartisan PAC, which had held multiple meetings with all stakeholders and even embarked on site visits to klia2 before concluding its report. "If even the recommendation for the A-G to conduct a detailed audit of the project requires another 'paper' for the consideration of the Cabinet, then it shows that the executive arm of the government has utter contempt for the parliamentary institution. "What’s more, it is already more than four months after the PAC report has been tabled. How long do the Finance and Transport Ministries need to take to study the report? "Is the Cabinet hoping that if the 'study' by the two ministries take forever to complete and the instructions never get issued to the A-G, then the culprits behind the RM4 billion klia2 scandal will be able to escape scot-free?" He added that Liow’s failure to assume responsibility proved he was perhaps only a "minister in name", with no major decision-making powers over his ministry. In its report tabled on November 26 last year, PAC had proposed that the A-G conduct an audit into the airport following its findings that the main cause of the problems in klia2 was the ballooning of its cost from an initial RM1.7 billion to RM4 billion. 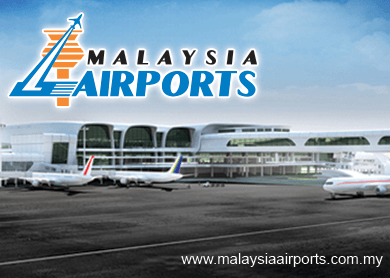 The construction of the airport was also delayed because of airport operator Malaysia Airports Holdings Bhd (MAHB)'s mismanagement and failure to consider the needs of budget airline operators at klia2. The PAC report found that MAHB's decision to locate the terminal at the west side was costly and ill-suited for airport construction, as documented by engineers and it had gone ahead with a satellite-type terminal instead of a finger-pier terminal as proposed by the airport consultants. Six weeks after the report was released, Liow expressed his support for the PAC recommendation for the A-G to probe into the airport.